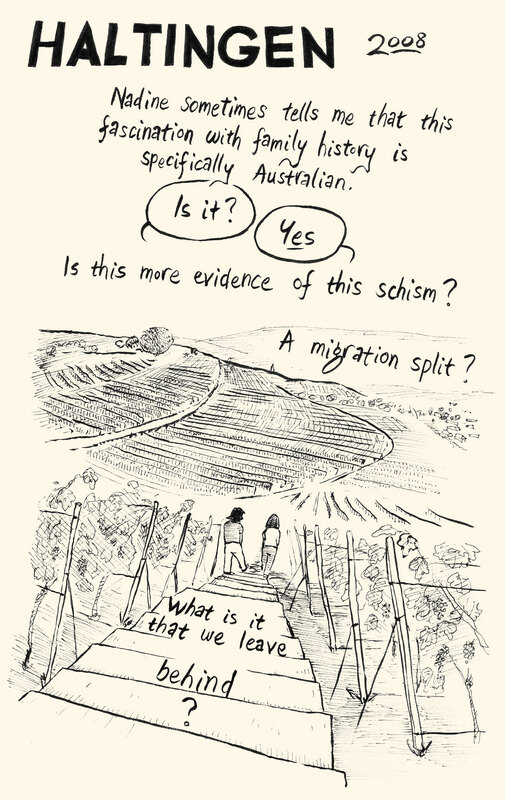 In 2015 Joshua Santospirito published this new graphic novella about his family’s migration to Australia and the experience of being descended from Aeolian Italian migrants. A poetic new graphic novella by Joshua Santospirito about the experience of migration and what it means to pull up your roots from one place on the other side of the world … and start weaving them into the new world. Joshua follows the story of his grandfather as he slowly builds his life from a working child in the streets of Melbourne to the King of Flowers on Flinders Street. Other graphic novels by Joshua Santospirito includes the popular and award winning The Long Weekend in Alice Springs, 2013, which is also available from San Kessto Publications. 2016 – July Exhibition of art from Swallows at the Immigration Museum, Melbourne. 2015 – September exhibition of art from Swallows at the Museo Italiano, Melbourne.